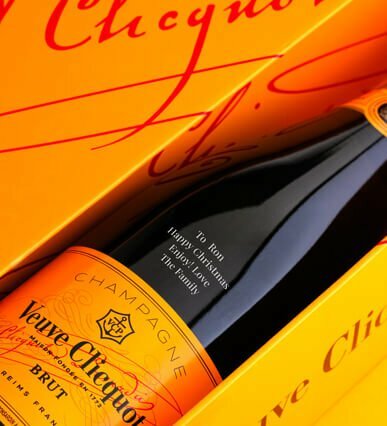 Choose any Champagne in our hand selected range. 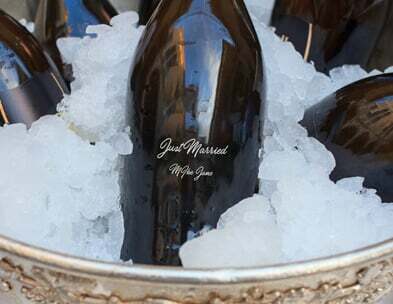 Engagements are an exciting time, celebrate with his and hers personalised bottles. 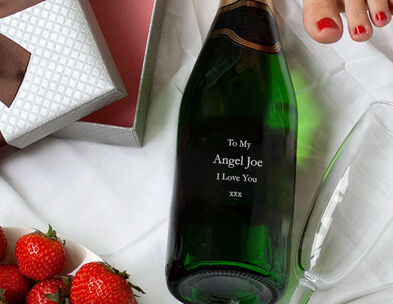 Treat someone on their special day with a bespoke message engraved onto their favorite bottle. 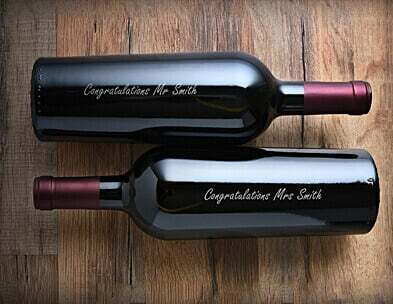 An ideal wedding gift, add your engraved message to the bottle for the newlyweds to read later. Create a unique Valentine's, etch a romantic note onto their favorite drink. 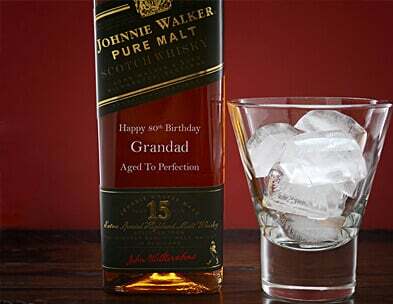 Luxurious Personalised Alcohol Gifts Beautifully engraved with a custom message or image from you. Engrave Drinks is the market leader in bottle personalisation! Offering a range of bespoke options on your order including, various fonts, beautiful colour options and a live preview of your message too. 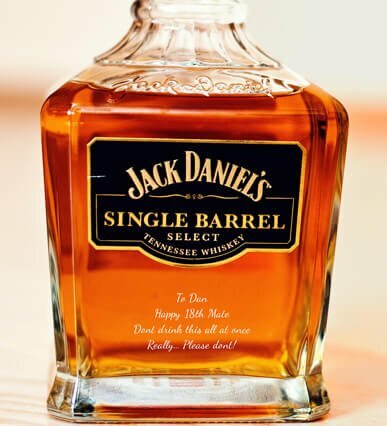 We use the latest equipment, technology, techniques and great care to produce professional laser engraved bottles and personalised glassware. We provide an ever growing and extensive range of Champagne, Whisky, Spirits, decanters and glassware. Stocking the most popular and sought after products on the market we offer personalised gift ideals for every taste and budget. We Offer a range of delivery options to meet your needs. If you need your personalised gift fast we have a selection of items across the store with a next day delivery service.